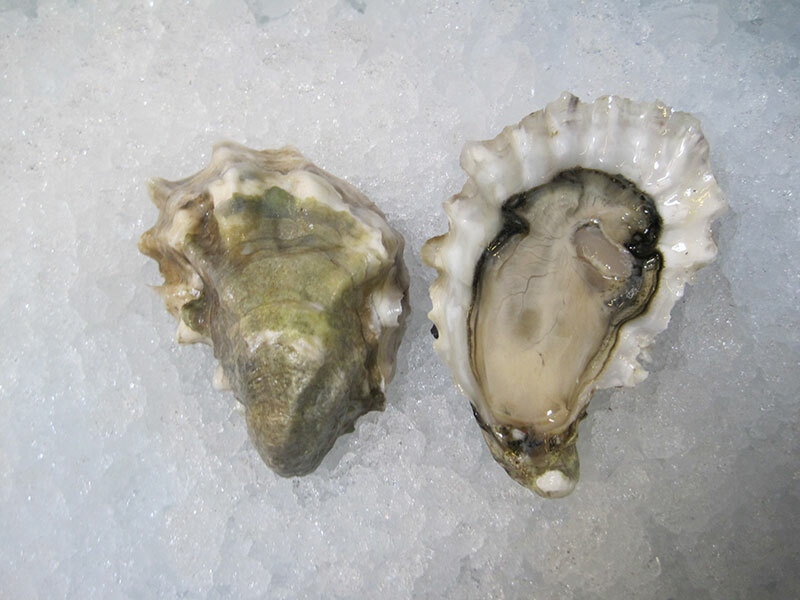 Reach Island’s are an intertidally grown oyster from Case Inlet, which is located in southern Puget Sound, Washington. They are introduced to the beach at Reach Island after about a six-month start in Oakland Bay, WA. Oakland Bay is known for its particularly nutrient rich conditions, which makes for some fast initial growth, and it is also largely devoid of predators, like crabs and starfish, that are found around Reach Island and that just love young, thin shelled baby oysters. They are produced by a small, family run farm that has been in the business for over twenty years and who know how to do the work that is required to produce the nicely shaped oysters we crave. The water in southern Puget Sound is high in nutrients and not too intensely salty. As a result, the oysters generally taste mildly salty, and the meats tend to have a lot of fat (glycogen) on them, making them plump and sweet. Reach Island Oyster - Marinelli Shellfish Co.